Help Center2. Help2.2 GlossaryWhat is a geoJSON file? What is a geoJSON file? What software opens a geoJSON? Import a geoJSON into the Spotzi Mapbuilder? The Spotzi Mapbuilder is an online GIS tool that supports geoJSON files to create beautiful maps and perform advanced location analytics. 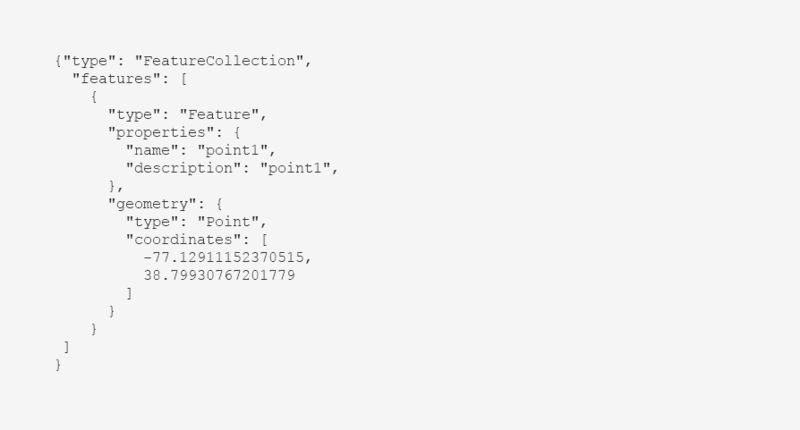 Read our documentation on how to import a geoJSON into the Spotzi Mapbuilder. Below the geom properties there are the attributes that tell more about the data. The_geom and the_geom_webmercator contains all the data to draw the points, lines or polygons. The type of attribute doesn’t make any difference. Another type of geoJSON may look like this. This type doesn’t contain a geom and geom_webmercator, but contains the coordinates (in case of a point layer) or a string of coordinates (in case of a line or polygon layer). Spotzi has a large Datashop with a lot of geoJSON (.geojson) datasets with demographics, consumer spending, ZIP code boundaries, real estate data, addresses, business listings and many more. Our Datashop offers a one-stop-shop solution where you can browse through all our datasets and order them directly from our shop.